Since 1990, the U.S Government Accountability Office (G.A.O.) has had NASA on its High Risk list due to persistent cost inflation and missed schedules. Well, NASA is bold adventure, right? Doing things no one else can do? Bureaucratic timetables can't stand in the way of science. Except just the opposite is true. GAO regards NASA as a job works program for the opposite reason than that its missions are too bold for terrestrial accountants - it promises a lot and then once government is on the hook for the money, fails to deliver. There have been successes, sure, for small projects. I like cute robots on Mars as much as the next person, but for big programs they are ill-suited. They once were, of course, but that was when NASA was a lean organization that left the work to private contractors. It accepted risk and was not simply hiring one or two companies that agreed to check off particular demographic boxes. It became what defense contractors in the 1980s became; savvy experts in gaming the system. The James Webb Space Telescope may signal the end of that era. Proposed in 1996 as a Next Generation Space Telescope, a successor to Hubble, NGST was rebranded in 2002 as the JWST and given a few more years and more money to be completed. By 2002, it was conceded that 11 years - longer than it took for the Apollo Program to put man on the moon and 500 years after the first telescope was built - was not enough time to put a mirror outside our atmosphere. In 2009, the date got pushed back again and the budget was again increased. Since then its costs have increased by 95 percent and it's now 2019 and NASA is already hinting that it will still not be ready by 2021. How will yet another committee be any different than the external Independent Review Board or the Standing Review Board that has looked at everything going wrong and simply told NASA to do better? JWST is too big to fail and may be too difficult to complete. In 2010 when I first wrote about this I said if NASA was going to get a James Webb Space Telescope it first had to find a new James Webb. That hasn't happened. It is instead bureaucrats so worried about maintaining funding levels and having zero defects that only low-profile missions that are easy to complete are now attainable. What if we don't keep funding it? If you question the sanctity of engaging in these Big Science boondoggles you receive the same derision and tired rationalizations that plague science advocacy in lots of other areas - we will lose "leadership" if we don't build it, so stay in your lane commoner. Leadership in what? Astronomy? We let environmentalists drive astronomy out of the continental US and then out of Hawaii too, so that's gone. Physics? Are we worse off because we canceled the Superconducting Super Collider once we realized they had no idea how to build it, and we instead send money and scientists to the Large Hadron Collider? No. Technology? That is like claiming that bureaucrats saw Palm OS in 1996 and believed only they could build a 3G network while in 2019 pretending it is still too complex and only government can do it. Trial lawyers would never be manufacturing reasons to sue over 5G if we had let government hold technology back in cell phones that way. If JWST is ever completed, it will see light from 200-300 million years after the Big Bang and in a broader frequency than Hubble can. That's all great but Hubble is now approaching 30 years old. 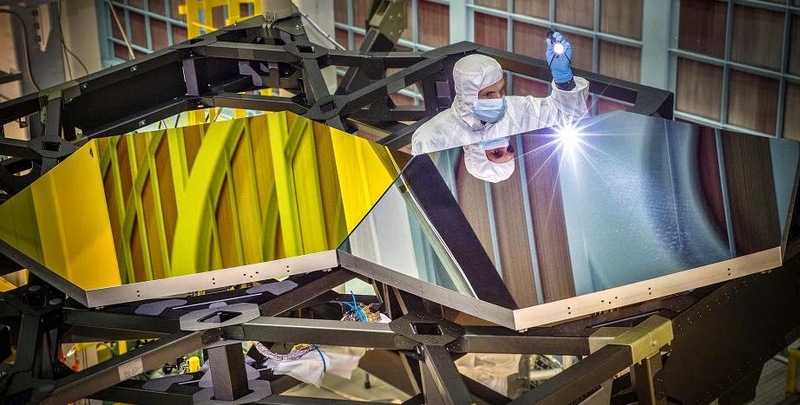 With the money we have spent on this we could have had two interim programs that bridged the gap between what JWST will do, if it works, and the 800 million years after the Big Bang that Hubble "sees." Each of those successors would have helped us get closer to the technology needed to make JWST more routine. Imagine if President Bush had held off sending Opportunity to Mars because NASA wanted to use all of the funding to send men to Mars. But small projects are what get denied each year when JWST needs more money and time. It bleeds but the rest of space science hemorrhages. Small achievable projects make more sense. Not everything has to be a "moonshot", because even the moonshot did not start as a moonshot. The Mercury and Gemini programs happened first. (1)"If it was up to the NIH to cure polio through a centrally directed program instead of independent investigator driven discovery, you'd have the best iron lung in the world, but not a polio vaccine." - Samuel Broder, former Director of the National Cancer Institute.